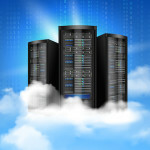 There are many options for hosting Windows products in the cloud. For one there is Office 365 and Exchange Online. Other options include hosting Windows Servers in Azure, Microsoft’s cloud computing platform. However, what do you do if your business is already set up on the Amazon Web Services (AWS) cloud? The good news is AWS includes support for many Windows Server-based instances. Plus, for companies who are looking to move from on-premise to the cloud, in some cases, IT departments can use existing Windows licenses on AWS. If an IT department wants to move to the cloud, and is starting from scratch, deploying a Windows Server on AWS is done through Amazon Elastic Computer Cloud (EC2), the core component of AWS that offers scalable and elastic cloud computing power. Users pay for their Windows Server licenses when they pay for the hourly rate of their instance, as the license is bundled into the cost of running the EC2 instance. If the company has Windows Server running on in-house equipment and they want to migrate their existing license to the cloud, there are a few steps the IT team can take to keep from having to purchase a new license. To start, the IT department needs to import their Windows Server image into AWS on the EC2 platform. Using the image, they can launch Windows Server on EC2 Dedicated Hosts. In deploying a Windows Server on the EC2 Dedicated Host service, users can track the usage of the hardware underlying their cloud instance to track Windows Server license use against computer components such as sockets and CPU cores that they normally have to track and report to Microsoft on, on their in-house physical hardware. How Do I Know If I Can Move My License? If you are unsure of what licenses of existing Microsoft products you can move the AWS, there is a License Mobility page on the Amazon Wed Services website. Some examples of compatible programs include Microsoft Exchange Server, SharePoint Server, Dynamics CRM Server, and SQL Server including Standard, Enterprise, and Business Intelligence Editions. If you are in need of assistance moving your current Microsoft licenses to AWS, contact Privo IT today. We are more than happy to help.